Battery-car start-up Tesla Motors hopes to put a quick-charging “supercharger” within reach of all U.S. motorists – and most of those in Canada – over the next several years, something that could eliminate the so-called “range anxiety” that has so far been a factor in the limited sales of plug-based” vehicles like Tesla’s Model S.
The roll-out of the Tesla supercharger network will now come twice as fast as originally planned, with about twice as many of them being put in place, according to the maker’s founder, CEO Elon Musk. The fast-charging system will also be upgraded to reduce charging times by nearly half, compared to the first chargers now in place, Musk said. “It does mean quite a lot to mainstream customers, being able to drive your (battery) car wherever you want to go … at a moment’s notice,” Musk said. “So (this is) very important to accessing a broader audience” for battery-electric vehicles like the Tesla Model-S sedan that went on sale last summer. There are a small number of Tesla superchargers in operation, mostly along the West Coast. There are some along the East Coast serving travelers in the busy corridor between Washington, D.C. and Boston. Tesla says it plans to triple the number of superchargers by the end of June. A Tesla statement said that within six months, “most of the major metro areas in the U.S. and Canada” will be within range of a supercharger. That would allow someone to drive from Los Angeles to New York City using just Tesla superchargers before the end of 2013. Eventually, Musk said during a media conference call, there will be “several hundred” superchargers covering not only major highways but also scenic routes. He said that would allow a tourist exploring the coast of California to race the length of the state on busy Interstate 5 or to take a more leisurely trip along the US-101 or CA-1 coastal routes. Tesla isn’t the only company expanding the fast-charge systems many proponents view as critical to increasing demand for plug-in vehicles. Texas-based eVgo is setting up a number of its fast-charge stations in California, Texas and along the East Coast. One difference is that a Tesla Model S owner who has purchased an optional supercharger package (standard on the maker’s most-expensive model) could plug in for free. On a cross-country trip, Tesla officials said, savings could amount to hundreds of dollars -- compared to what would be spent driving a gas-powered vehicle. Slow charging times – and the limited availability of public stations – has been seen as one of the biggest drawbacks facing the nascent battery-car industry. Depending on the type of charger, a Model S could be recharged on a home or conventional system in anywhere from three hours to nearly a day. Depending on the version of the sedan, the supercharger can provide up to three hours of driving range in as little as 20 minutes, Musk promised. There have been concerns that using so-called Level III charging might reduce the life of a battery pack. The maker also moved to reduce anxieties about battery life earlier this year by announcing a new “no-fault” battery pack warranty. Ultimately there should be about one Tesla supercharger within reach of Model-S owners every 80 to 100 miles, Musk said. Most are likely to be located between urban centers – where conventional chargers are more common. Some of the first supercharger stations experienced so much demand that Model S owners had to wait in line. Tesla aims to have more bays available going forward, a minimum of four places to plug in at each facility, more where demand is higher. For his part, Musk said he intends to soon repeat “a road trip I took in college,” this time taking his family from Silicon Valley to New York relying on the expanded supercharger network. Each new supercharger station is expected to cost around $150,000, he said, the price roughly doubling where solar power is used. 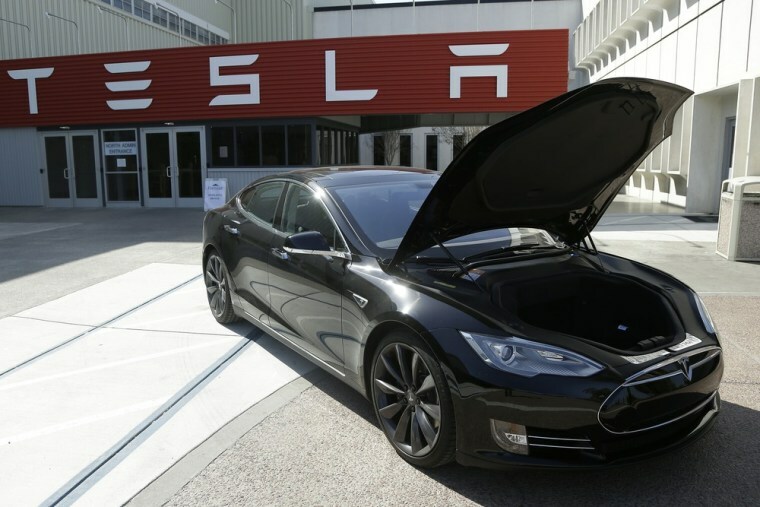 Tesla’s latest stock offering – expected to raise about $1.1 billion – will help foot the bill. The maker is using the fresh capital infusion to also pay off its U.S. Energy Department loan. While the expanded availability of quick chargers should improve the appeal of battery power, observers caution that the hefty price premium for battery power remains a drawback. Manufacturers appear to be working on that issue, as well, however. Honda, for example, is cutting by nearly a third the lease price for its new Fit EV, and a price cut for the Nissan Leaf earlier this year generated a surge in sales.